Ashes to ashes, dust to gold? Gold, silver and platinum nuggets that survive the intense 700 Celsius fires are all that remain after a body is burnt at the Nordheim cremation facility – Switzerland's largest – in Zurich. Approximately 6,000 corpses are cremated here each year. As of earlier this month, Nordheim has put in place a machine that filters out precious metals from the ashes and the crematorium then sells them to recycling firms for profit. There has been some debate as to whether the earnings should be returned to the deceased's beneficiaries or go into state coffers. The latter is what is happening. The recycling project is set to earn the city of Zurich 100,000 Swiss francs (€87,700) in revenue each year. Read more. Respect for life shines in many deeds and the lack of it is in plain view as well. An example of the latter: Brains Of 40 Dead Children Removed, Kept In Jars In UK Hospitals. Needless to say, their parents were not aware of this. If you have not recently lost a loved one, you may not be prepared for the interviews and calls you will receive when that time comes. Start thinking now if you are willing to have the body dissected for bone, skin, organs; and get ready to sign on the dotted line. "Desecration" will pass from the dictionary. What could it mean in the context of doing good by sharing body parts? The "Christian" Transhumanists berate those who impede scientific progress. The Genesis story is myth to them, and humans are viewed as "God's co-creators." (p 200) Desecreation is archaic. Not to desecrate is inhumane. Putnam wrote, "In truth, we have what the secular world does not have: infallible and timeless principles revealed from the very author of life… Humans are God's highest creation on earth and are commanded to be good stewards of the earth and its resources. Thus, we have a mandate to engage in some of the technologies discussed, but …" (p 199). BUT, study and discernment are needed. Christian, are you prepared to draw lines and determine what technologies you will approve and why? I enjoyed viewing a video created by Putnam on YouTube, ‪The Attributes of God & the Borderlines of Reality‬ . The video post offered a website link, needgod.com. Great site! I also visited Putnam's blog, http://www.logosapologia.org/ which is still online though he passed away at age 51 on March 1, 2017. On his blog he has a post on his chapter in Pandemonium's Engine. I have included below some of his comments. The term “pandemonium” has an interesting origin. It is the capital city of Hell in Milton’s epic poem Paradise Lost. I run a little theme throughout my chapter using quotes from the 17th century Christian classic throughout my critique of transhumanism and the theology and philosophies which under gird it. In Paradise Lost, Satan and the fallen angels have been relegated to Hell and seek to mount a new offensive. In Pandæmonium, the capital city, Satan employs his beguiling oratorical skills to incite his forces. Aided by his lieutenants Mammon, Beëlzebub, Belial and Moloch they plot to overthrow God’s forces. The final strategy is decided when Satan volunteers to poison the newly created Earth and God’s new and most favored creation, Mankind. This is where an intriguing parallel with transhumanism comes into play as it has the potential to do just that. Not only could we create a posthuman species, germline genetic therapies could pass it down to the next generation permanently altering the human genome. The potential for a horrific outcome is real. The American philosopher, political economist, and author, Francis Fukuyama, agrees, contending that “the most significant threat posed by contemporary biotechnology is the possibility that it will alter human nature and thereby move us into a posthuman stage of history.” The potential threat is real and the decisions made over the next decade will have a deciding influence on the outcome. 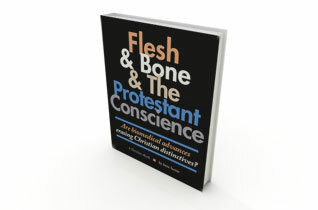 The theological and ethical issues are critically important for Christian thinkers to consider. This book is just one ripple in the pond of our culture. I pray it inspires many of you to think critically about the spiritual implications of the bio-technology revolution.